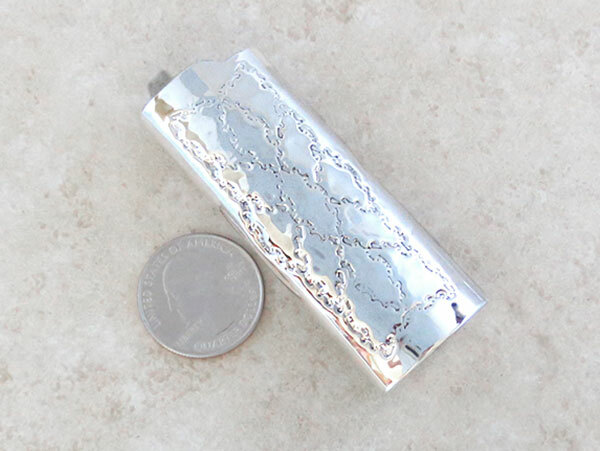 This sterling silver lighter case was handcrafted by Navajo artist James Martin. 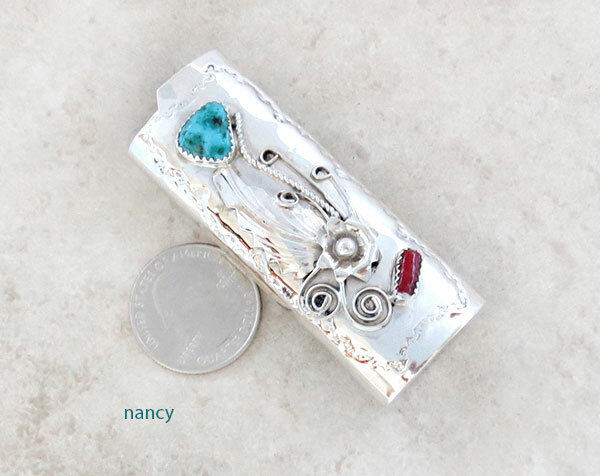 It has blue turquoise, red coral and applied silver leaf, curls and silver flower. It has stamp work on the back. It's 2 5/8" tall and fits a regular bic lighter.